I remember I was always fascinated by Gothic buildings in Mumbai and Pune as a kid. Though these buildings were distinctly European for most of us they are very much a part of our visual memory. 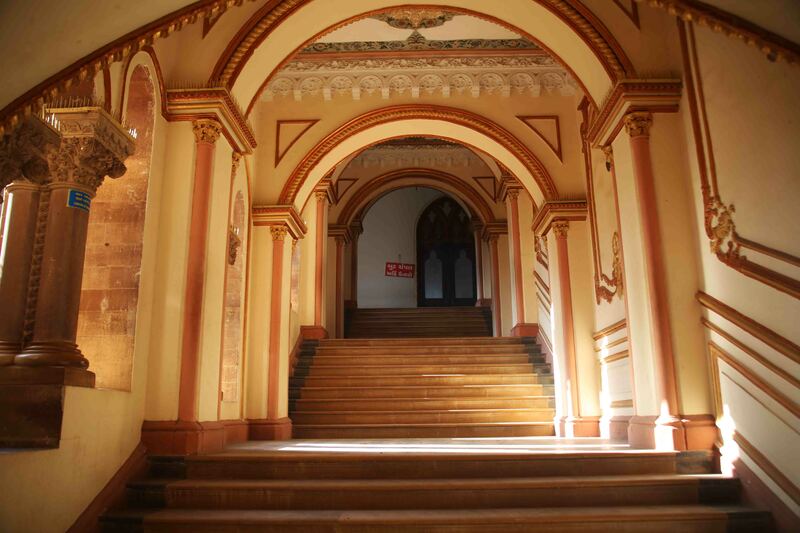 The grand Rajabai tower building in South Mumbai or Deccan college in Pune were my first favourites in this genre. 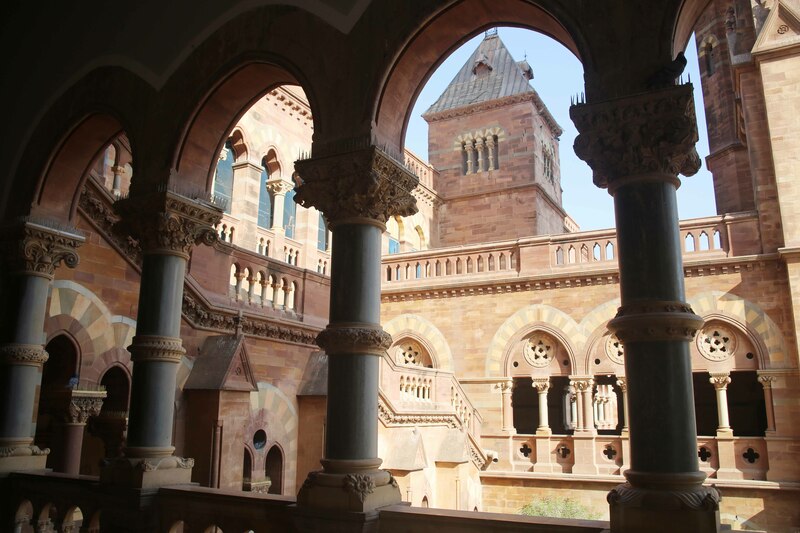 But little did I know that one of the earliest buildings in the Gothic revival style was not built in Mumbai. 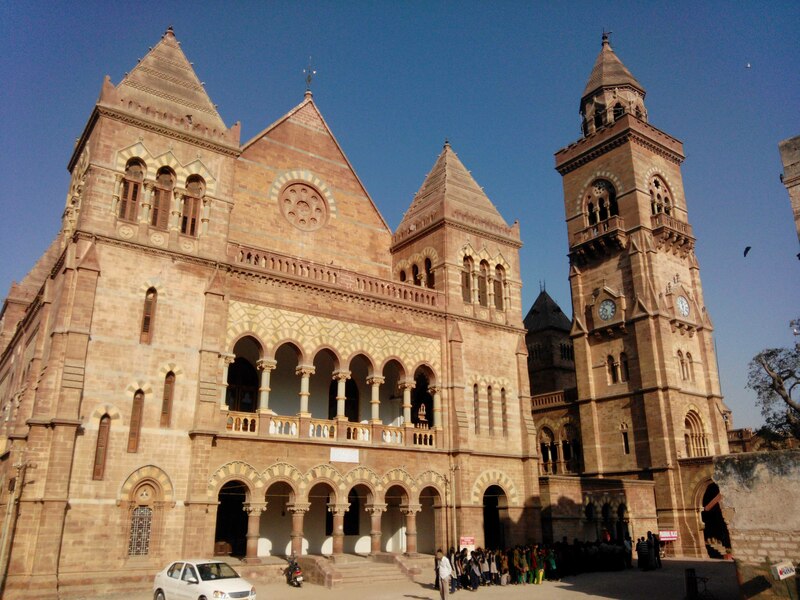 It was the Prag Mahal in Bhuj, designed in Venetian Gothic style by architect General Henry St. Clair Wilkins. The Rani Vaas though dilapidated perhaps after the 2002 Gujarat earthquake stands tall in its grandeur and uniquely different style. Though it has typical Indian intricate jali work the structure looks western in overall form. An old field artillery gun welcomes you to the palace which was built from 1865 in the reign of Prag Mal ji II and was completed in 1879 when his son Khengarji II was the ruler of Kutch. When one walks through the lobby towards the Darbar hall; carvings and paintings in Italian style seek attention to detail, especially the use of Corrinthian pillars in the structure. Venetian moorish elements break the monotony in key places to lift the otherwise simple lobby. Darbar hall is connected to the main hall. Stairs leading to the 45 ft high click tower are certainly not for those who do not like claustrophobic spaces. But the view from the top is worth the effort. Entire Bhuj city is seen from the tower which was recently restored and thrown open for public. Big B reportedly took keen interest in restoration efforts at Prag Mahal. 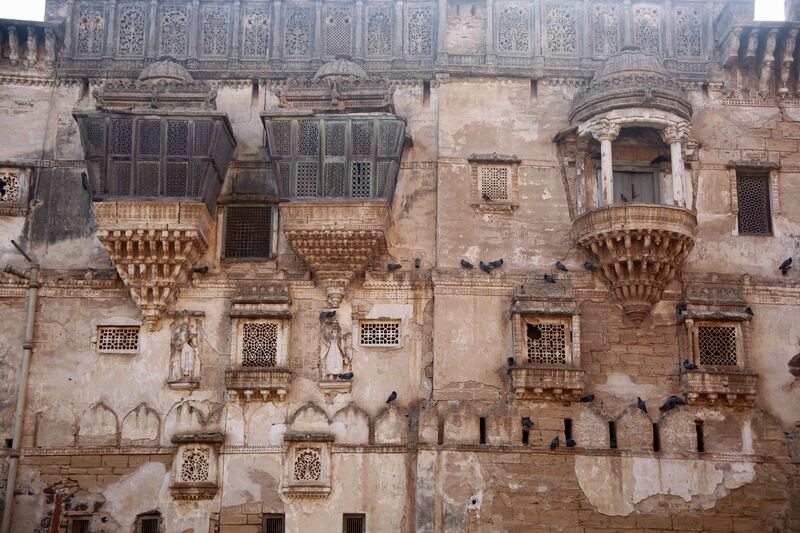 Even with all the cracks and crumbling walls, the palace looks stunning with its scale, proportions and form. Hidden behind this Gothic structure is Aina Mahal, more desi and royal in character, but that for some other day!! When I left the palace a very uniquely designed gate attracted my attention. It is known as Toraniyu naku. 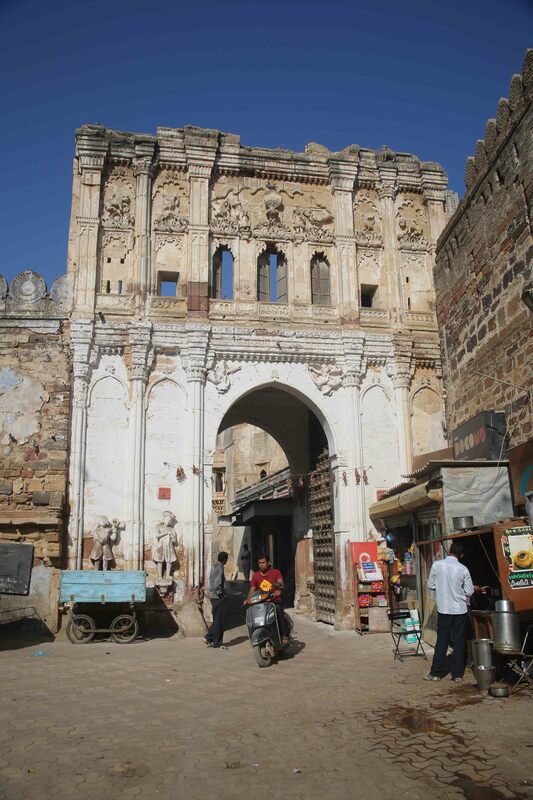 The gate is significantly taller compared to other entrances to the walled city. 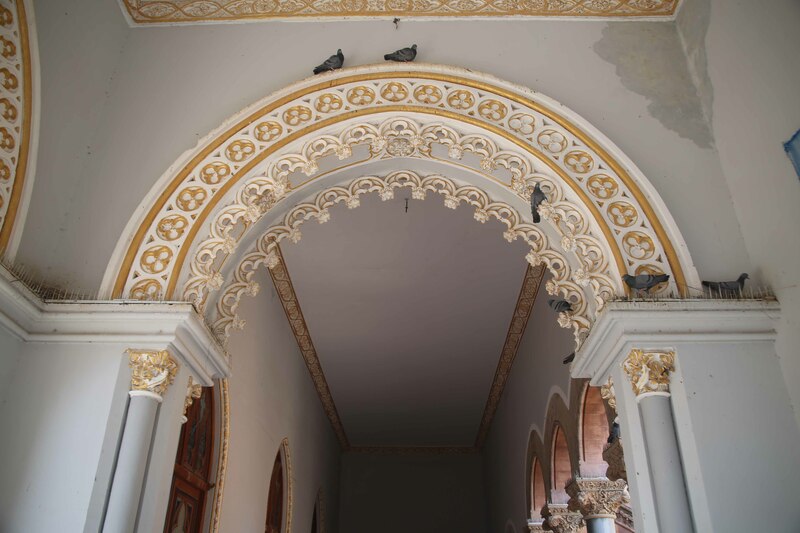 It has a strange mix of motifs belonging perhaps to Indian, Arabic, Dutch, Italian styles. Are you sure with the portrait might be of the Architect St. Henry Clair Wilkins ?